Howdy Folks! You like Blood? Violence? Well… then you came to the right place! 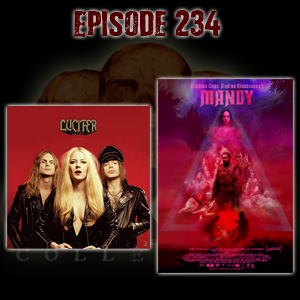 This episode we’re talking about a European Rock and Roll band named Lucifer and their latest release called Lucifer II. We’re also talking about Mandy from 2018. Nic Cage’s latest film all about cults and… MURDER! Enjoy!